Great Sleep formula, at this stage my number one pic. Im a huge fan of Mucuna Prurines and Valerian, but this formula goes a step further with Phenibut as well as a supporting cast which basically makes this the most potent I have in my collection. However with the addition of Phenibut be sure to cycle on and off (5 on 2 off) or only use this on nights where you just can’t quite fall asleep. ANESTHETIZED | NEED HELP FALLING ASLEEP? One of the most challenging parts of bodybuilding is getting a good night’s sleep. It doesn’t matter if you’re in contest prep or off season bulking, there’s always a reason to not want to go to bed. Either the restlessness kicks in and you don’t fall asleep until 4am or you’re up every 2 hours hitting the bathroom or you’re just uncomfortable from night sweats – it’s always something! And to make matters worse, those 6-8 hours of sleep are easily the most important hours of the day for growth and recovery. A real bodybuilder takes his sleep just as seriously as he does his training and nutrition. Anesthetized is the ultimate pre-bedtime, pharmacist formulated sleep aid solution for those with occasional sleeplessness issues. Scientifically proven to improve the speed at which you fall asleep and the rate at which your body reaches R.E.M. – the stage which produces growth hormone and IGF-1 – making it incredibly important we dream better and longer for optimal muscle gains. 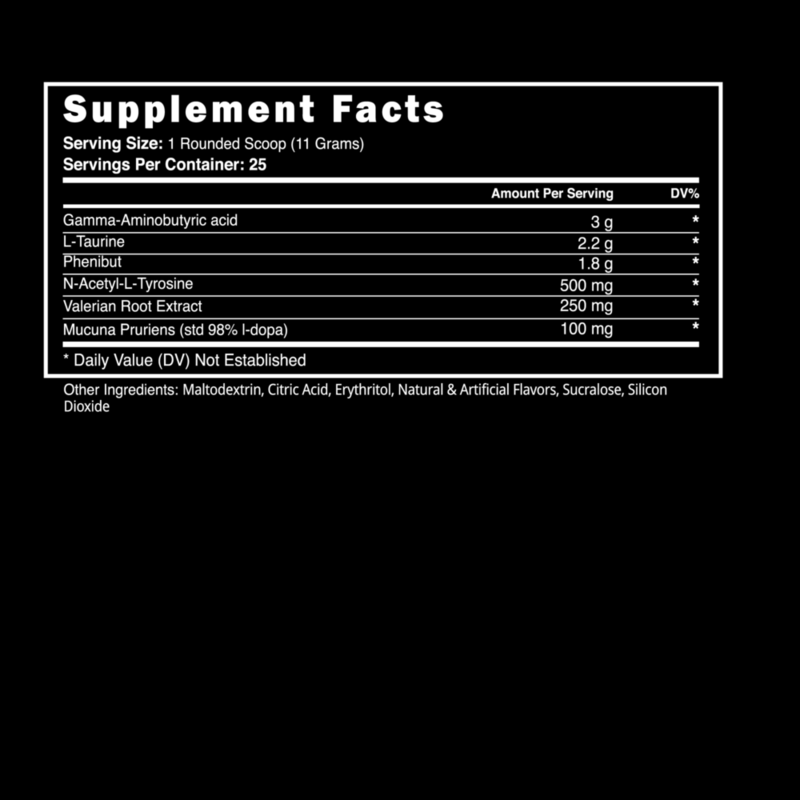 Anesthetized might be the most important supplement you ever use, although we suggest you don’t use it every night. Instead take it on nights in which you’ve had a tough training session, or you really need to get some rest. 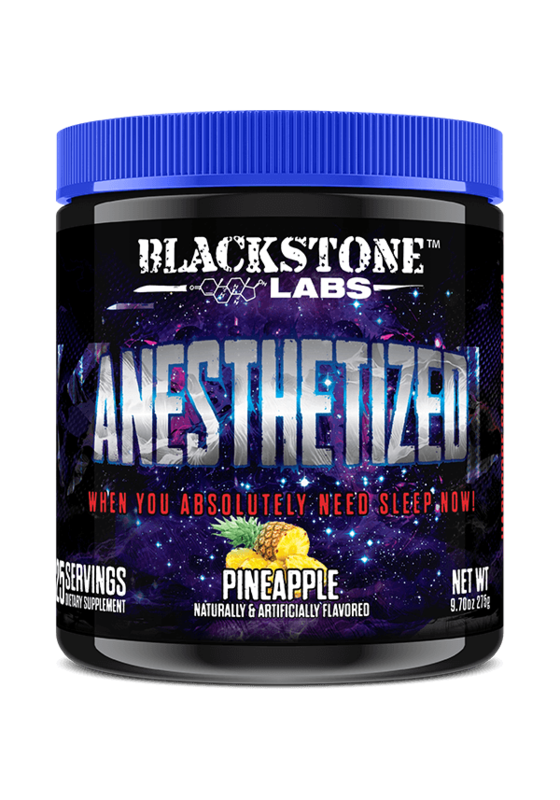 Anesthetized can be stacked with any Blackstone Labs product. Make sleep a priority and make better gains. It’s as simple as that.